Company History | Ace Enterprise Ltd.
Ewart Harney, trading as Harney Motors Ltd. (HML) became the first importer of Japanese vehicles into Antigua and Barbuda 46 years ago. As a young mechanic and entrepreneur, Ewart Harney, following a great deal of research, commissioned and received his initial order of 10 units of Toyota vehicles on December 12th 1970. In 1972, in an effort to expand the business, a decision was made to become a limited liability company. Toyota and Harney Motors Ltd. saw yet another first, when in 1977 the first Japanese car-carrier docked in Antigua with a sole consignment of 54 units. In 1985, another critical initiative towards advancing the company was the acquisition of the Mitsubishi Dealership at which point Ace Enterprises Ltd., a subsidiary of HML was subsequently established. Similarly, in 1996, two vital acquisitions followed: The Ford dealership under the company named Galaxy Motors Limited and the much-welcomed Kia dealership. 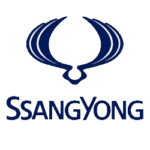 In 2015 another Korean brand, SsangYong Motor Company, was added to the already impressive product line up. Harney Motors attributes its longevity to several factors; one of which is the strong, solid relationship between HML and the various manufacturers they represent. The company has created a reputation in Antigua and Barbuda based on dependability, customer care, and continuous improvement. Coupled with this, there is an ethos of strong philanthropic spirit and commitment to the development of our Antiguan community.Thesolid family-like culture and dedication of the employees, some with as much as 45 years of service, has also attributed to HML’s progress and survival. Success usually accompanies following ones heart and Ewart Harney’s love and drive for vehicles is a key factor to his success. One way his intense passion for automobiles is evident is through his compulsion to name his three daughters after vehicles – Carina, Dyna and Niva.Dyna Harney-Barnes, the second daughter and General Manager of 19 years, completes the final dynamic. Dyna, who holds a Bachelors of Science in Finance and International Business and a Masters Degree in Business Administration, perpetuates the same energy, determination and love for the Harney Motors world. She fully embraces the HML ethos of 100% commitment to customer satisfaction. With great appreciation for their customers’ continued loyalty, both Ewart Harney and Dyna Harney-Barnes anticipate building on former successes employing the same time honored principles to steer HML through decades of future growth and prosperity. Mitsubishi heavy industries began. It was in 1985 when Mitsubishi came to Antigua and sparked the creation of Ace Enterprises Ltd.
Mazda came about in 1920 and joined the Ace Enterprises Ltd. family in the year 2000.